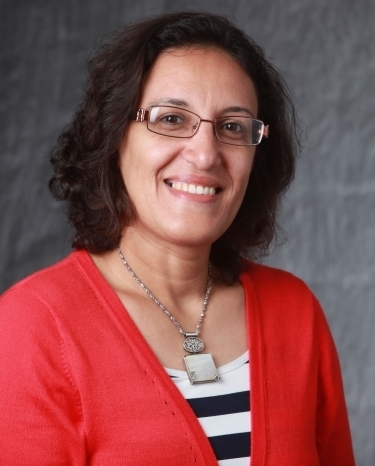 Mona Mostafa Hella received the Ph.D. degree, in 2001, from The Ohio-State University, Columbus, Ohio, in Electrical Engineering. She was a senior designer at Spirea AB, Stockholm, Sweden working on CMOS power amplifiers (2000-2001). From 2001 to 2003, she was a senior circuit designer at RF Micro Devices Inc, Billerica, MA working on Optical communication circuits and silicon-based wireless systems. She joined the Electrical, Computer and Systems Engineering department at Rensselaer Polytechnic Institute in 2004 where she is now a full associate professor. She is a research thrust leader for the National Science Foundation Engineering Research Center (ERC) on Light Enabled Systems and Applications (LESA). Dr. Hella has served as the associate editor of IEEE transactions on Very Large Scale Integration from 2011 - 2014. Since 2010, she has served on the technical program committee of the Radio Frequency Integrated Circuits Design Symposium (RFIC). She served on the administrative committee of the Microwave Theory and Techniques society from 2007 to 2009. Her research interests include the areas of mm-wave and THz circuits and systems, energy harvesting and sensor design. She was a Fulbright scholar in 2015 and an IEEE senior member in 2016. Y.-P Hsu, Z. Liu, and M. M. Hella, “A 2.6 µW -65 dB THD Front-end IC using a Fully Differential Two-stage Class-AB Amplifier for Bio-signal Acquisition Applications", IEEE Trans. Circuits Syst. II, Feb. 2018. S. Ray, and M. M. Hella, “A 53dB 7-GHz Inductorless Transimpedance Amplifier and A 1-THz+ GBP Limiting Amplifier in 0.13-µm CMOS", IEEE Trans. Circuits Syst. I., accepted for publication on Dec. 22nd, 2017. K. Wu, S. Muralidharan and M. M. Hella, “Decoupling Structures for Millimeter Wave Integrated Circuit in Digital CMOS Processes", IEEE Trans. Electron Devices, V. 65, Issue: 2, Feb. 2018, pp. 788-792. K. Wu, S. Muralidharan, and M. M. Hella, “A Wideband SiGe BiCMOS Frequency Doubler with 6.5dBm Peak Output Power for Sub-Millimeter Wave Signal Sources", IEEE Trans. on Microwave Theory and Techniques, Vol. 66, Issue: 1, Jan. 2018, pp. 188 – 200. B. Fahs, M. Romanowicz, and M. M. Hella, “A Gbps Building-to-Building VLC Link Using Standard CMOS Avalanche Photodiodes", IEEE Photonics Journal, Vol. 9, No. 6, pp. 7907709, December 2017. B. Fahs, M. Romanowicz, and M. M. Hella, “A Self-Alignment System for LOS Optical Wireless Communication Links", IEEE Photonics Technology Letters, Vol. 29, No. 24, December 15, 2017, pp. 2207 - 2210. B. Fahs, A. J. Chowdhury, Y. Zhang, J. Ghasemi, C. Hitchcock, P. Zarkesh-Ha, M. M. Hella,”Design and Modeling of Blue-Enhanced and Bandwidth-Extended PN Photodiode in Standard CMOS Technology", IEEE Trans. on Electron Devices, 64(7), pp. 2859 - 2866, July 2017. E. English, A. Weltz, R. Dahal, James J. -Q. Lu ; Y. Danon, I. Bhat, M. M. Hella, “Low-Noise Preamplifier Design Considerations for Large Area High Capacitance Solid-State Neutron Detectors,” IEEE Transactions on Nuclear Science, Vol. 63, Issue, pp. 304-315, Feb. 2016. S. Ray and M. Hella, “A 10-Gb/s Inductorless AGC Amplifier with 40-dB Linear Variable Gain Control in 0.13-μm CMOS“, IEEE Journal of Solid State Circuits, Vol. 51, issue 2, pp. 440-450, Feb. 2016. B. Nakhkoob and M. M. Hella, “5-Gb/s Noise Optimized Receiver Using Switched TIA for Wireless Optical Communications, IEEE Transactions on Circuits and Systems I, Vol. 61, issue 4. Pp. 1255-1268, April 2014.